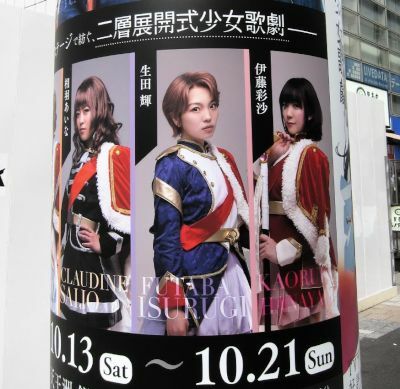 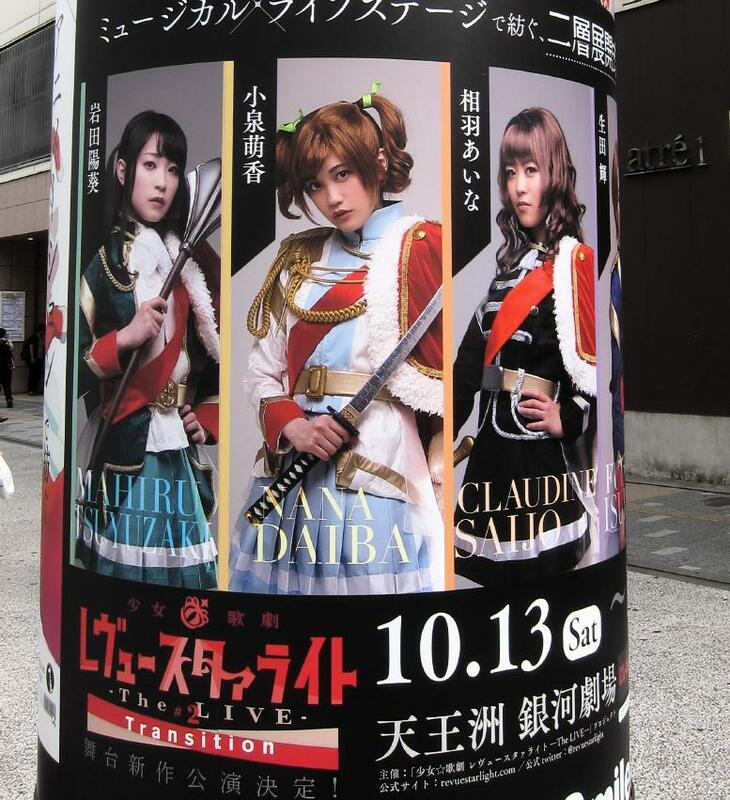 In the middle of September 2018, the pillars on the north side of JR Akihabara station had advertisements for Shoujo Kageki Revue Starlight. 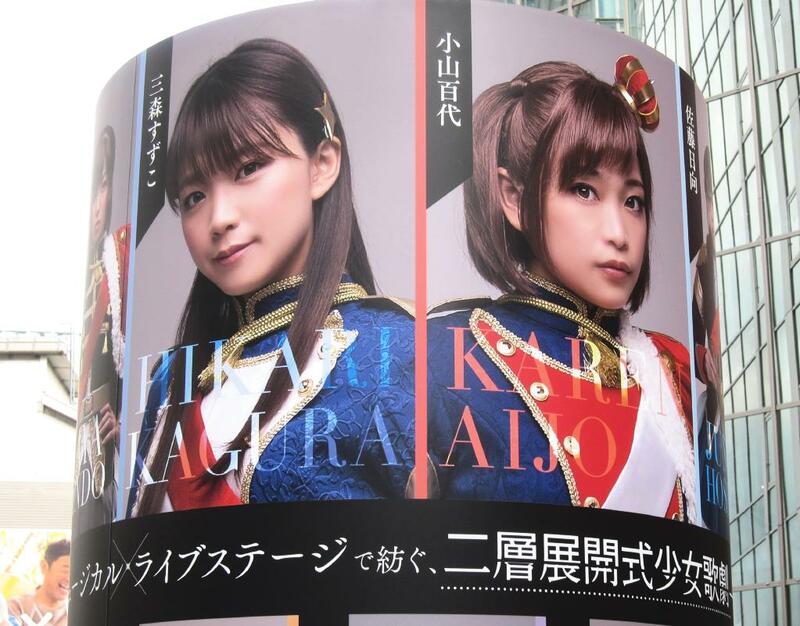 There were large photos of Mimori Suzuko and Koyama Momoyo. 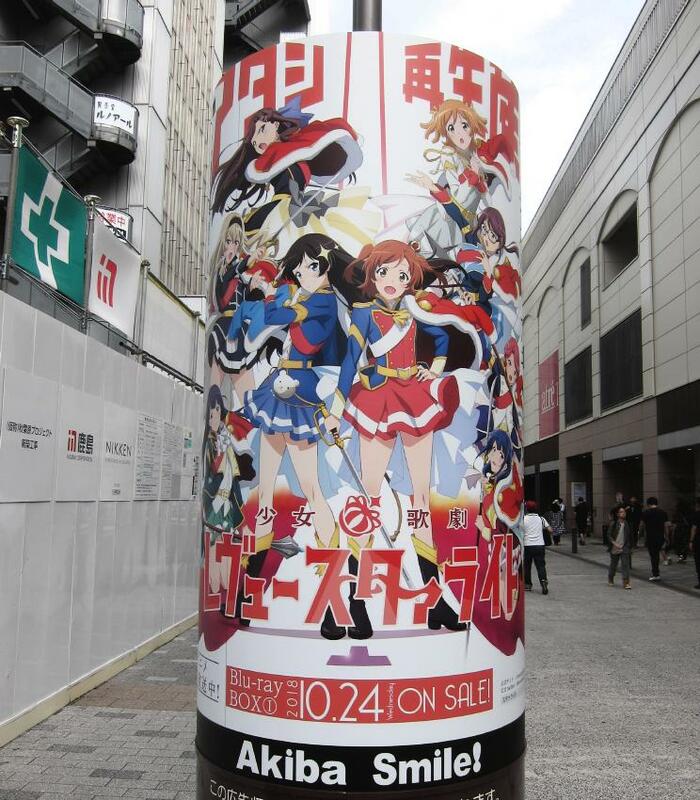 The bluray box of the TV anime will go on sale 10/24. 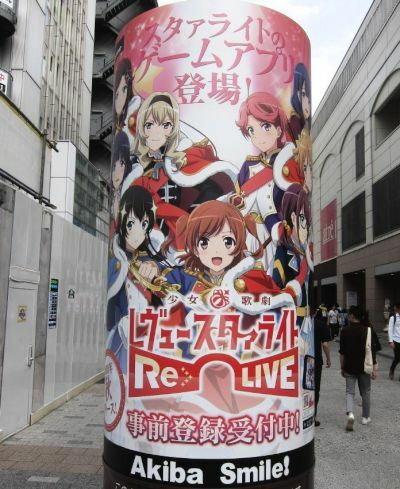 The game Revue Starlight ReLive is taking pre-registrations. There will be a stage play from 10/13 to 10/21. 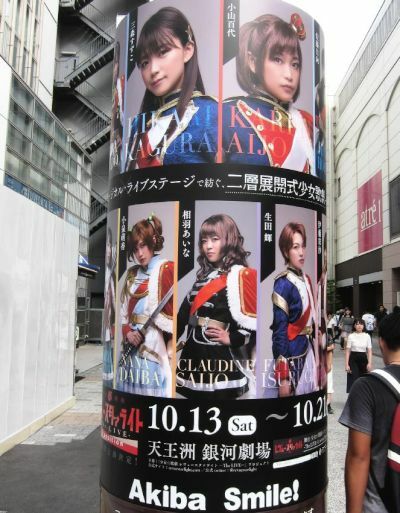 The pillars had photos of the actresses in costume. Iwata Haruki, Koizumi Moeka, Aiba Aina.